The Gatorade shower is a tradition in sports that started in 1984 when New York Giants nose guard Jim Burt poured a cooler full of sports drink, created in 1965 by the University of Florida College of Medicine, on head coach Bill Parcells during a regular season victory over the Washington Redskins. Then in 1987, the act became a Super Bowl tradition when the Giants won Super Bowl XXI and players poured orange Gatorade on Parcells in front of 87 million viewers. Since then, the color of the Gatorade shower for the winning coach has been a Super Bowl prop bet tradition as well. For Super Bowl LIII, here are the current odds for the Rams-Patriots matchup on Feb. 3, 2019. What color Gatorade will be poured on the winning coach? Gurley responded with “Ice Punch” and as you can see in the picture below, so that would be a clear Gatorade poured on coach Sean McVay—which is currently the favorite. If the Patriots win: There really isn’t a lot of information to go on when it comes to what color the Patriots will pour on coach Bill Belichick if he wins. Of his five Super Bowl victories, he’s only received the shower twice (clear in SB39 and blue in SB49), so it’s likely he dodges it again. 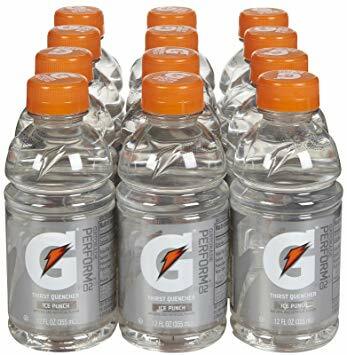 Considering clear is one of the two and was what Gurley said was the preferred Gatorade choice of the Rams, it makes sense why it is the favorite to be poured on the winning coach of Super Bowl LIII. To give you a historical reference, here are the colors for each Super Bowl Gatorade shower dating back to 2000. The winning coach has dodged the shower on four occasions during this time with Bill Belichick missing out on three (36, 38, 51) of his five Super Bowl victories and John Harbaugh once (47) when he won with the Ravens.